AYR - DUNURE - TURNBERRY As this trip was done on the holiday Monday (26th September 1949), I think it fitting to include this section along with the rest of the autumn holiday weekend stuff. The first time I was in Ayr was when I was about four years old, and since then the family have spent several holidays here, usually having a house for the month, and as the time came for me to go to business I used to travel for a fortnight and then stay on for a similar period. When I was old enough to cycle I used to take the bike down and, not being afraid of distance in those days, I became very familiar with the coast as far as Croy Brae. There appeared to be quite heavy traffic on the 'Carrick Coast Line' as I call it, and I was very lucky and used to see the green G.& S.W. engines at Alloway and Dunure, and was very much attached to them and the single line working, as this was about the only place I could see passing stations. Then alas, before I had managed a trip it closed down in 1930, and I was very sorry. In the middle thirties the L.M.S. 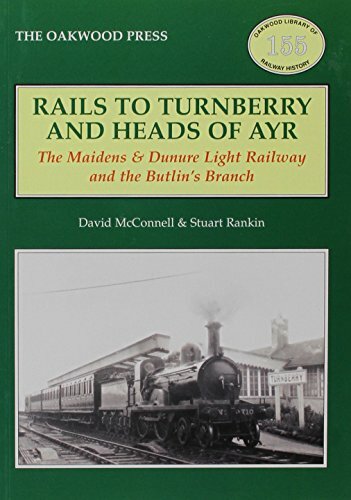 used to run an evening Cruise Train to Girvan via Turnberry and back by Maybole, but it left St. Enoch too early for me, and all the running I managed was a trip from Girvan to Turnberry on one of my leaves before I was called up. (May not have been a 'leave” but it was war time anyway). I always longed to do this section though, and this autumn I was lucky enough to get a pass to do it on the daily freight. Unfortunately this left Ayr at 7.15 am., but I managed to the station in time after spending the Sunday night with my Prestwick friends, and met fireman 'Tom Gibson', whom I had once met previously when he was a passenger guard. A fine fellow Tommy, and being on the look-out for me he gave me a fine welcome. The train was now approaching, and as a change from a 'Jumbo', I wondered if I might be lucky and get one of the Highland 'Barney's” which I thought were down in this direction. What I did not want, of course, was a 'Jumbo' with a 'Utility Lum'. When the train appeared ,just on sunrise, the engine did not look like a 'Jumbo' and when it got into the platform I noticed it was a Caley 181/2' O.6.O. 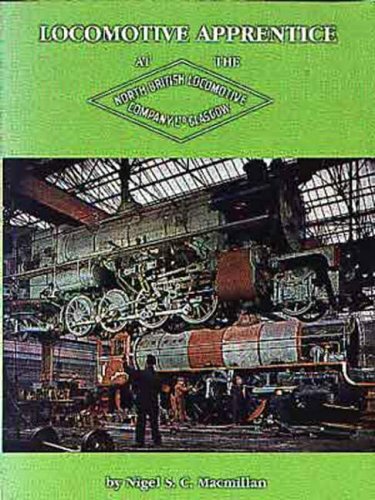 This was a change to me, and I noted it was 17633 still in LMS lettering, and off Hurlford Shed. Tommy introduced me to the driver, Nick Armstrong, and told him that I had a pass for the FOOTPLATE! It may have been so, but I did not look at it just in case. I was made welcome and introduced to Fireman McMillan and then goods' guard Charlie Tyson. Poor Charlie, he was not popular with the enginemen; but it was not really his fault. He was a most enthusiastic railwayman, and I must say that he earned his day’s pay, but he WOULD tell what had to be done as if all enginemen were new to the job. I liked him O.K., but per­haps if I had had to put up with him every day I would have shared the opinion of others. We set off then, after loading sundries, and made our way up to Alloway Junction, at which point I was looking forward very much to leaving the main line. We had seven and brake, and approaching the junction, we slowed, went over the facing cross-over, and entered the branch. We were high up on a curved embankment, and kept here until we crossed the main Maybole road from Ayr, then entered a long easily curved cutting, going down at 1/80. It was very 'shrubby' here, and we soon came to Alloway Station, which I had seen often from bridges at both ends of the platform. The sidings are situated on a higher level, and we had to shunt back into a 'neck' and go forward again into the yards. We did some work here, and then the men stopped the train in the passenger station for me to get the first photograph. It was a dull grey morning, and I did not expect any success yet, but it is always a record. A good friend advised me later that I should carry a tripod, and so be independent of the weather, and I shall do so in future on similar excursions. We now entered the short tunnel below the 'Auld Alloway Kirk' Graveyard, and I was told to take care that 'Auld Nick' (not Armstrong of course) did not haul me off the footplate. He didn't, and I came safely out the West Portal and went over the fine viaduct over the Doon. I knew the next bit, under Longhill Avenue, and up the bank of 1/80 behind the Tea Rooms to Greenan Castle Mineral Depot. In my younger days I had also seen trains shunting here, and today we had one open wagon which we had propelled in front of us from Alloway. A fine view of the town was to be had from here, and I noticed that there is a loop in the yard and we shifted some coal about a little. Away again, and on emerging from the bridge carrying the Coast Road, 1 was surprised to see an upper quadrant distant signal a short distance ahead, and just prior to the line curving in a cutting to the left. It looked very out of place here, but it was the one for the new station at Butlin's Camp. We appear to have carried a tablet and a staff, because when passing the new box on the Camp Single Platform, with run round and one storage track, we flung the tablet away, and kept the key. It was a short bit yet to the original station, of which the Island platform still stands, but is denuded of buildings. We went into the yard, propelled out and after passing the station on the inland track we hit the bank up to the top of the Carrick Hills. This section is well known to all who have been on the main road, and the cutting through the shoulder of the hill is most prominent. We ran hard up here, 1/80 at first steepening to 1/70, and I enjoyed this bit to the full. Over the top we ran along the cliff top, sometimes in rock cuttings, and out of sight of the road, until we reached he entrance to Dunure Goods Sidings. Like Alloway, these are on a higher level than the passenger station, but this time are approached by facing points, while the line drops sharply to the passenger station, about half a mile to the south. This junction is about M.P. 48. and after doing our bit in the yard we came down to the passenger station where a stop was made for my benefit. I made a mistake here, though, I should have gone on to the road bridge for my photo, but I rather foolishly took it from the platform, thus not getting a good setting. The men would have waited for me too! I noticed that the stairway forming the entrance to the station has been removed, so perhaps it was in the same condition as the one at Alloway. (This latter unfortunately collapsed one day killing an old woman who was at Alloway with a picnic party in a special train). Leaving Dunure, on the right side of the platform this time, we entered the steep rock cutting I knew so well from looking down upon it, and Nicky gave 17633 the 'Works' here, and we really stormed along the undulating section above the pretty fishing village. It was still dull, so no view was obtained over the Firth, but that was my secondary consideration. I was surprised at the changes of grade here, and the running was kind of rough. We eased up however, and went down over the Croy viaduct and came suddenly upon Knowside platform with its water tank and level crossing. We stopped for water here, and as the tank is at the north end of the platform, and so is the level crossing over the road down to Croy Shore we stopped with the wagons on the crossing. This was rather interesting as I had only once been down this 'track' to this beautiful bay, so picturesquely beheld from Croy Brae, and the track is really single track itself, and VERY rough. We now went up at 1/90 and then 1/80, and at the south end I noticed the entrance to the yards. These were situated on the inland side, and the entrance faced Girvan, and as the sidings are level, they also were at a higher level than the passenger station. 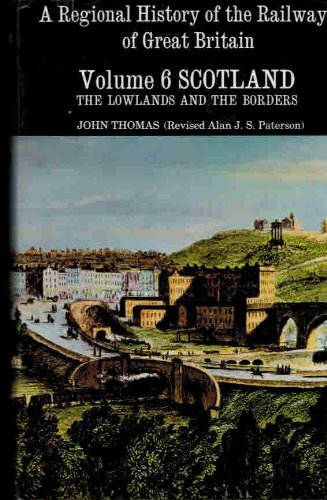 By good luck, I had recently read a guide to this railway, and so was now expecting the magnificent structure known as the Rancleugh viaduct. At the summit of this short rise we came across it, and I was much impressed by its massiveness, as well as its height and the graceful curve. Nick stopped the train and I took a photo, but then he ran me to the end, let me off, backed on to about the middle, and I went down the glen and got a photo of the train crossing. At the southern end of the viaduct are the Balchriston Gates, and the keeper must have been wondering what all the delay was about as he was standing by the gates and opened them each time we crossed the viaduct. We were now passing by Culzean Castle, and a nice 'woody' run brought us to the dark station of Glenside. I say 'dark' because it is situated in a wood — trees line one side of the approach, and in the clearing bushes both darken and dampen the station precincts. I must make mention of the fine red blaze approach from the public 'highway', and the men were most keen to point out the private waiting room for the Marquis of Ailsa. On an autumn day this section must give endless trouble with falling leaves, especially on a damp day. We left here and made for the shore with great haste. We entered a rock cutting and took full advantage of the falling grades to Maidens. On leaving the cutting we got a fine view of the Firth and Turnberry light and were not long in coming to the outskirts of Maidens. Although I had often passed, under the line here I had not been aware that there are separate goods and passenger stations. The former is on the north side of the crossing of the main road, but we had to run beyond and shunt back into it. It is a very spacious layout, probably for 'spuds', and on pushing our load up to the loading bank our crew took their piece. Leaving here we approached the old passenger station, end I was MOST surprised to note that the tracks are left on both sides of the platform, and, when running northwards the seaward side of the platform is used. We stopped here too for me to get a photograph. A long straight stretch then followed through what is now the remains of an aerodrome. When the old G. &.S.W. trains used to pech along here, the line would be at the foot of the hills with a fine expanse of green grass or ploughed “tattie fields' towards the sea. Just before reaching Turnberry we came upon a sharp curve, the far end of which saw the start of the yards and the run-round, while at the far end is the still beautifully kept station of golf fame. I was pleased to see it looking so smart, both freshly painted, and kept CLEAN. Another photo was taken here, and as I had been to Girvan before from here, I ended my fresh explorations for today. Once more we ran hard, and the crew stopped at Dipple and I got yet another photo, though we had no business to do. It was fine this idea of having the road to oneself. The strangest thing here was a section laid with concrete sleepers, and the men were quite childish in their interest shown in the experiment. I remembered the big bulge in the line to miss the farm, and after passing the line up to the new works at Grangetown at a small summit, we ran down gently to the main line at the site of the old No.1 Box, passed the outer home signal, crossed over to the UP line, and then, as a special treat for me, we swung to the right, crossed that single line wooden bridge, and took me into Girvan Goods and the site of the old passenger station. Dipple: Driver Nick Armstrong (cap in hand). So, I HAD done it at last! Strange, how some of the places one sees in youth always hold a great fascination in middle age — and perhaps will later. I had seen most of the Carrick Coast line from the road, BUT, there were those bits one could not see from either car or bicycle, and it was most satisfying not only to SEE them today, but actually to travel over every inch of the route. I had no special plans for returning to Ayr. I had thought of a 'bus in order to carry out the original programme, but I had carried this out on Saturday. As it was now, I had promised to go home as quickly as possible, and so give the family some of my company on what was my last holiday (before Christmas anyway) for 1949. Charlie Tyson had been keen that I returned with him in the brake on a goods train from Girvan, calling only at Killochan and Bargany, and then non-stop to Ayr station to put off sundries. I thought I might have had a few minutes to thoroughly explore this historic spot I was now in, but here was Horwich Mogul 42739 coming in at our back to take away the train which was already marshalled for it. Driver Armstrong was in a hurry to make room for it, so he went off quickly to the water column, while I had a word with Charlie. However, I told Nick that I had not yet been on the footplate of a Mogul, so he went over to see who was in charge. He came back and told me that it was one Sanny Wason, and that he (Nick) had told him the same tale as Tom Gibson had spun at Ayr, and that I had just to get up. This was fine, but they were in a hurry away and so I missed an opportunity for a photo in the yards. We set off with a short train and laboured up to Killochan where the engine went to the yard to pick up another van, leaving the train on the main line. We then went the short distance up to Craighead and dropped gently down to Bargany. Fireman McDonald was an interesting fellow and gave me his 'snack bar Stool”, and pointed out sights of interest. We stopped at Bargany and went right inside, which is possibly a spot in Ayrshire where the author of 'G.&.S.W. Night’s Entertainments' has not yet penetrated -- I’m not sure. We then had 22 of coal to pick up, but each had to be run separately over the weighs by gravity, and then further on, by gravity also, to the mainline; so we had quite a wait. I managed, some photos here, and then we set off. We took it very easy though, and I got seeing around, which was different from my previous trips on this section. I noticed the big change of grade in the middle of Dailly platform, and then we took it very cautiously up to 5l3/4, and then made the easiest of descents to Ayr. I alighted here, got some lunch; handed back my pass to Mr. Gray, who had asked me to call; and then caught a 'bus back to Whitecraigs and walked home through the Golf Course. Thus ended what had been a very profitable week-end, and I felt very pleased with myself at the areas I had managed to cover. 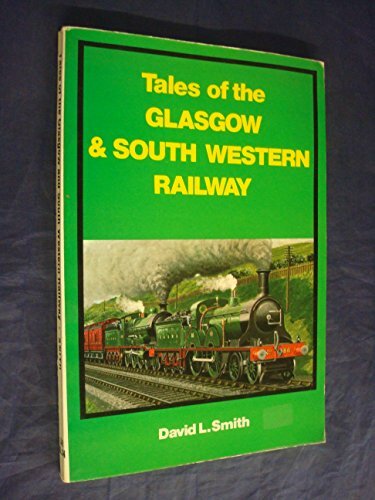 I have very little to do now on the Caley and South West, and I think I can safely say that on these sections I have done every route that has a passenger service over it. By route I mean of course to include spurs, branches, etc. regularly used by trains in the public timetable. Oh! I have still to do Beattock-Moffat, but I do not expect that to close, but I will do it at the earliest possible opportunity. Sadly the Moffat branch was to close to passengers in 1954 and then close completely in 1964.